The next meeting of the Huffman Prairie Aviation Historical Society will take place on Monday, October 1, at 7:00pm. All are welcome! The presentation will cover a historical journey of vertical flight, focusing on rotary wing and V/STOL (vertical and/or short take-off and landing) aircraft following the Wright Brothers in 1903 through the late 1990s. The presentation is based on the Bernard Lindenbaum Vertical Flight Research Collection (MS-324) located with Special Collections & Archives, Wright State University. The presentation will also catch up to today and briefly look at where vertical flight research may be heading in the future. 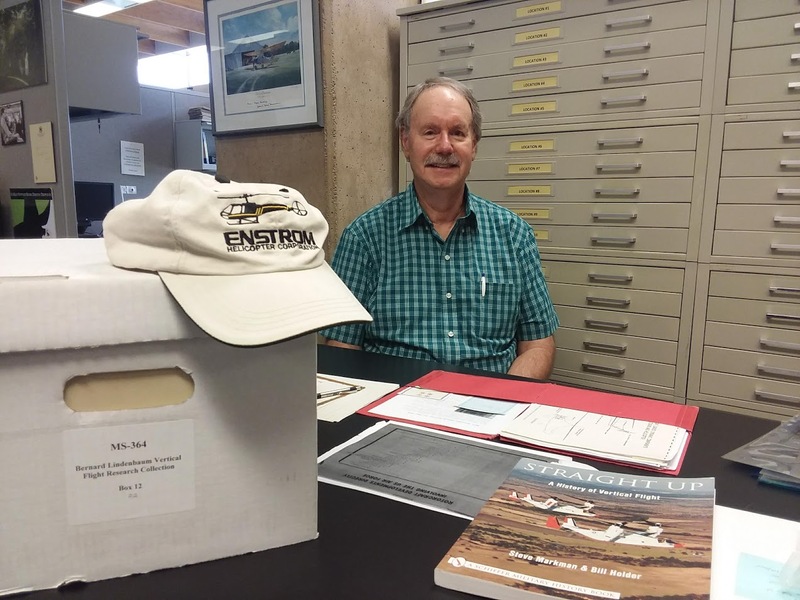 About the presenter: Jahn A. Luke is currently a volunteer with Special Collections & Archives. In addition, Mr. Luke is a private pilot and aircraft owner, aviation enthusiast, and recent part-time systems engineer. Mr. Luke is a retired AF civilian (40 years) who worked as a senior program manager for the Air Force Research Lab at WPAFB. The program will be held at the Huffman Prairie Flying Field Interpretive Center, Dayton Aviation Heritage National Historical Park, 2380 Memorial Road (intersection of State Route 444 and Kauffman Road), Wright-Patterson Air Force Base. For questions about the event, please call 937-775-2092 or email archives@www.libraries.wright.edu. This entry was posted in Aviation, Outreach and tagged HPAHS, Huffman Prairie Aviation Historical Society, MS-364m Vertical Flight. Bookmark the permalink.